For the last few years (minus those periods of time when I dropped out of the blogosphere to, you know, have babies and all), I have not been shy about naming what makes a teacher fabulous. Okay, if I’m really honest with you and myself, I have not exactly been shy about naming what makes myself fabulous in the classroom. 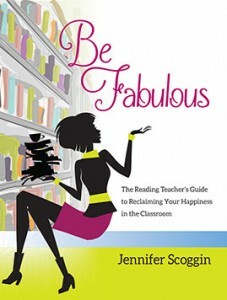 We all have days where we feel like fabulous teachers. We walk into our organized classrooms, greet our students with a smile and then proceed to teach several hours of kick a$$ lessons in which all students are engaged and make progress as learners. There are no major behavioral issues. There are no complaints about not having a pencil. There are no interruptions over the intercom. The photocopier stands free, without a line, and works flawlessly. Not a paper jam for miles. It is a good day. You return to your classroom at the end of the day, smiling to yourself and wishing you had your own theme music because the day was Just. That. Good. If you enjoy nerding out as much as I do, there are wonderful research based best practices out there for us to hang our hat on and I believe that teachers can, should and do keep up with those. It is critical that we share our fabulous. However, there are also all sorts of studies and papers and articles pontificating about what it means to be a good teacher, who is effective, who is not effective and why the so-called demise of the public education system is all our fault. It is a lot of fire and brimstone and most of it is largely not helpful. Listen, we know how to be fabulous. We need to harness our fabulous for those days that don’t go as planned, are filled with interruptions or leave you wondering how you are going to reach several struggling friends. Those days exist too. And while I try my hardest to turn those days into funny stories, they often bring me down and make my fabulous feel further away like it’s locked up in a box in a room full of mandates, meeting agendas and old piles of data. I think it’s time we define what makes us fabulous for ourselves. My lovely friends over at the International Reading Association agree with me and want to help me share our collective fabulousness. Clearly, there are many rockstar teachers out there; you can nominate a fabulous Super Colleague and help share his or her fabulous. Leave a comment on the IRA’s Facebook page or email them at social@reading.org with the subject line, “I know a fabulous teacher!” Do it. Think about how fabulous you can make another teacher feel and the importance of contributing to the conversation about what makes teachers…there isn’t another word for it…fabulous!